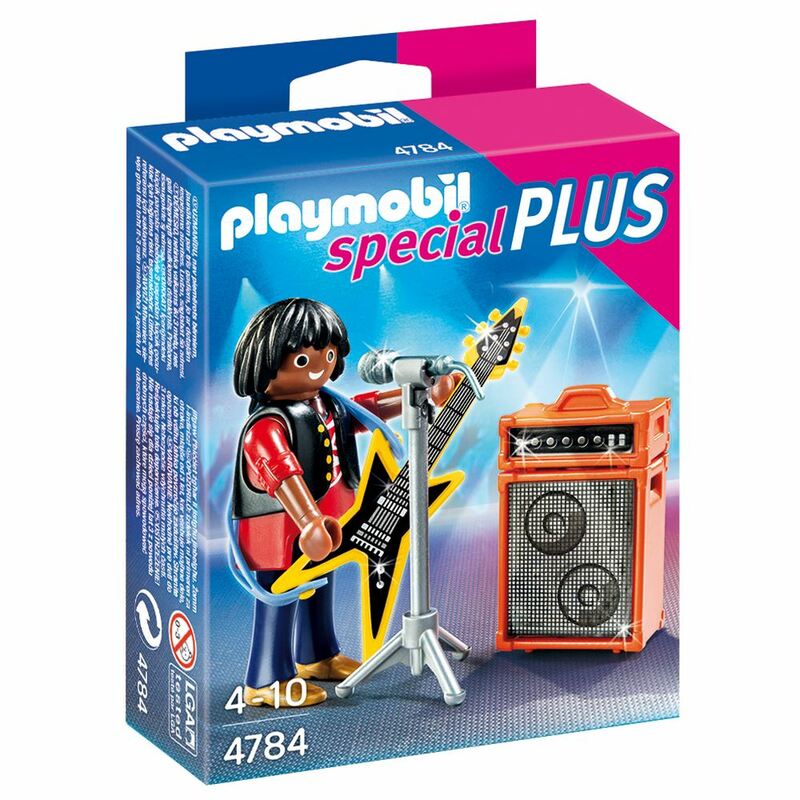 The Playmobil rockstar is ready to play the show of a lifetime! Includes: a figure, guitar with strap, microphone with stand and amplifier. Part of the Special Plus Range. Age 4+ years. Distributed in New Zealand by Holdson.